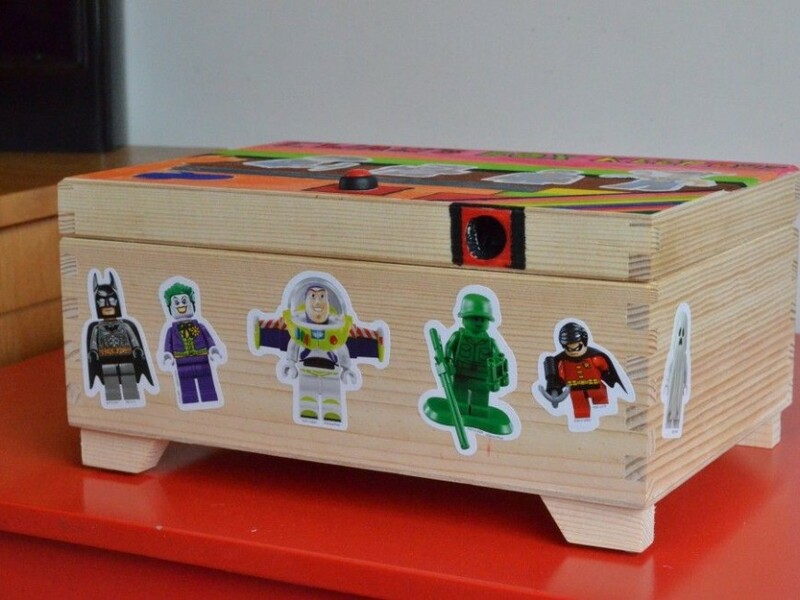 Taking a ploy from the upcoming TouchID feature the new iPhone will have, Grant was inspired to make this really neat toy box for his son’s toy car collection. You would think getting a fingerprint reader would be the most difficult part, but apparently Adafruit has ‘em for sale! So Grant got a fingerprint reader, a hobby servo, pushbutton, and some batteries and hooked it up to an Arduino UNO. 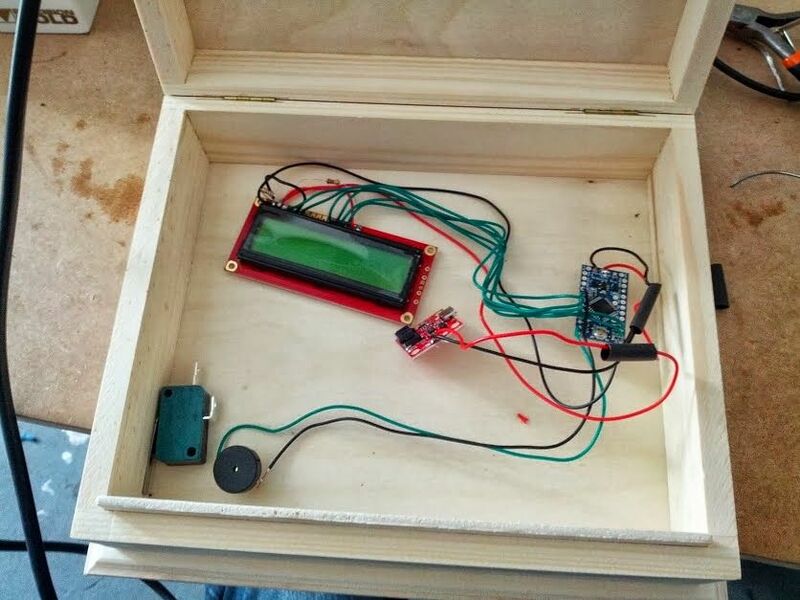 Looks like a fun project, especially for something like a jewelry box. Check out the source code and other details on Grant’s site. Halloween is a great time for makers, we get to make all kinds of cool costumes and spooky things. Sometimes we get to play with fire. Well at least Chris Lee does. This flaming pumpkin is enough to keep them pesky kids from toilet-papering your house, or catching it on fire after they do. 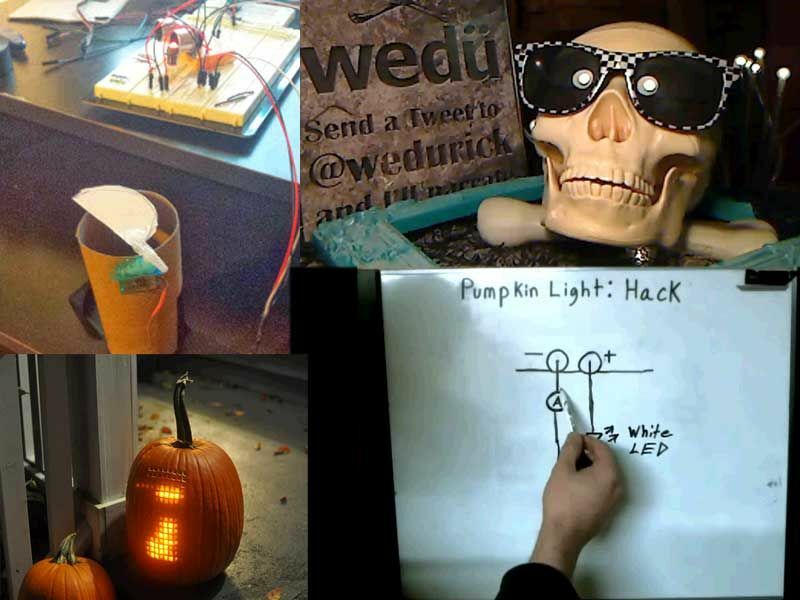 The pumpkin is triggered by an Android phone, talking to a RFU-328 radio and Arduino. 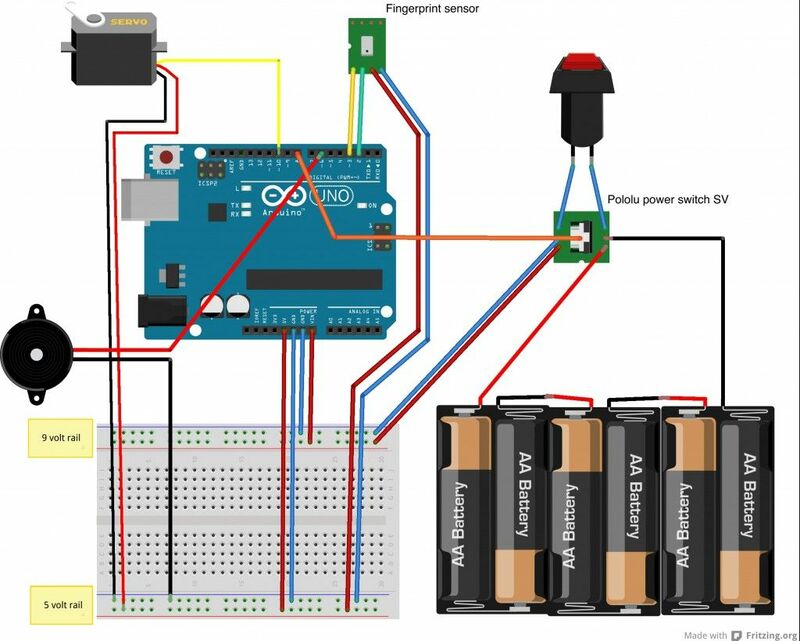 The Arduino triggers 2 relays, 1 to activate a furnace igniter, the other activates a solenoid that releases the flow of gas. The spray mechanism comes from an AirWick room spray and is filled with butane. Chris made a comment about maybe converting this to shoot silly string out during actual Halloween, either way it’s a cool project. 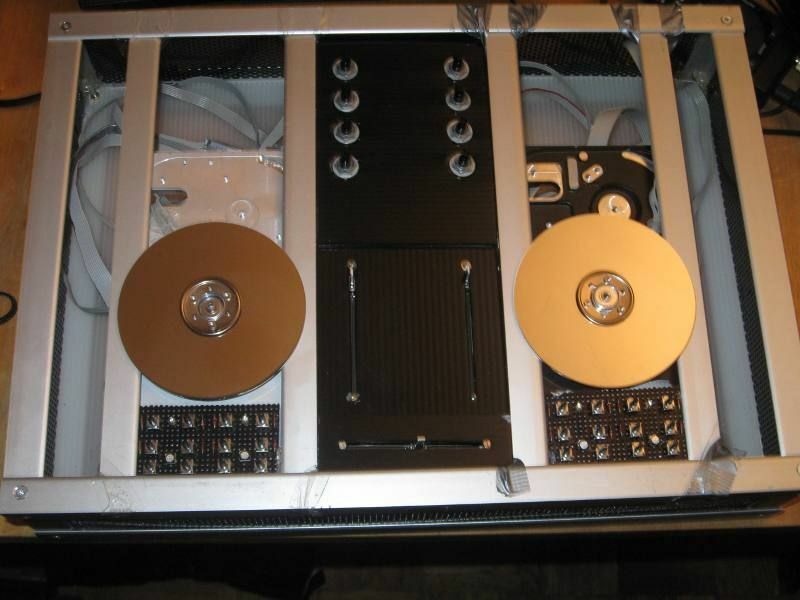 Stumbled on this awesome project that uses 2 old hard drives platters as rotary encoders / jog wheels. Obviously for the purpose of DJing! I love it when people reuse hardware that was originally intended for another purpose. 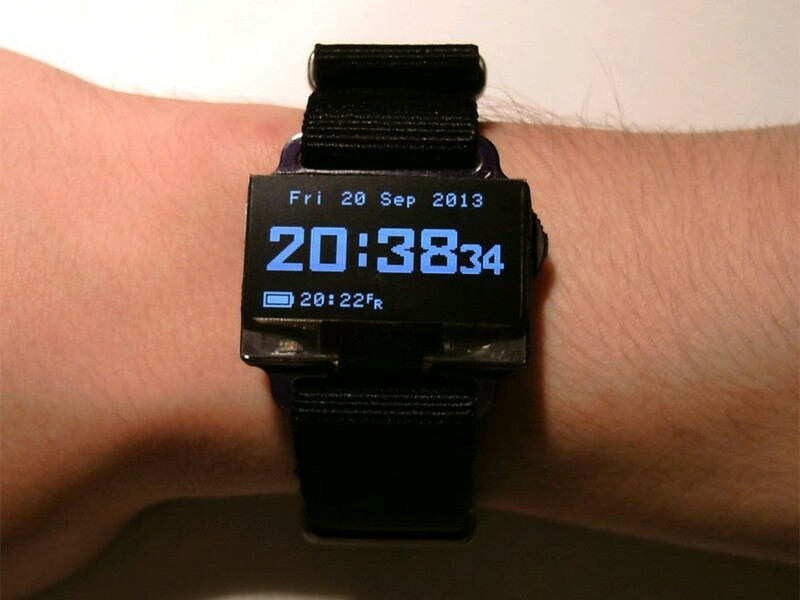 The build uses an Arduino Mega 2560 as its main processor. RGB LED’s for the VUmeters, some slider pots for fading, and some extra buttons and knobs for MIDI events. On the PC software side, the author is using mixxx for the MIDI mapping. Check out the video after the break. More pictures in the gallery. Source code here on GitHub. More documentation here. It’s an Arduino, no it’s A beagle bone, no, it’s both? 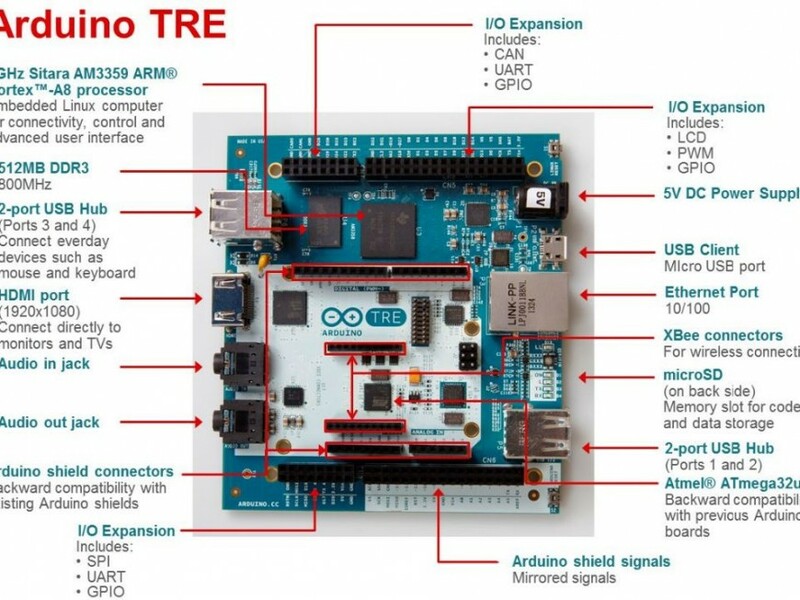 It’s the Arduino TRE. Not unlike the previously announced Arduino YUN, a dual processor design. The board is a Leonardo style Arduino (ATMega32u4) paired up with the same workings that make up the beagle bone black (AM335x Sitara). 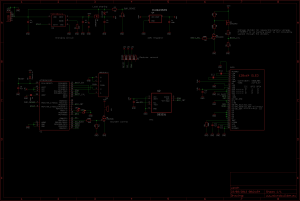 Which gives you an environment suited for embedded Linux on the Sitara side, and Arduino (on the Arduino side). Although I haven’t seen the price point, if it’s cheaper or the same price as the YUN I would prefer this setup, however I feel sort of mixed about these weird hybrid boards in general. 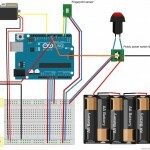 Everyone wants to jump on the Arduino bandwagon. Everyone wants to jump on the Raspberry Pi bandwagon, and some people want to jump on both and produce these weird hybrid things. In my opinion these boards create market confusion, especially to newbies. Everyone says ‘we are Arduino compatible’ which means you can write code somewhat like an Arduino, or it has a footprint for an Arduino shield. But what they don’t tell you is you can’t run Arduino code, or there is no library to support that Arduino shield. What used to make the Arduino great was the fact there was tons of shields and code out there you could run. Now that isn’t the case. With all the new gross hybrids and incarnations you can’t simply get some code that used to work — to work. It requires some interpretation and porting. Don’t get me wrong, I’m all for cheap, powerful hardware. But I feel that more hardware like this starts to separate the people who write code, and the people who use code. Something like the TRE will be an awesome processor for your 3D Printer and tons of people will use it. That’s the key word, use it. They will download pre-compiled binary images and eventually figure out how to get code on the eMMC and the Arduino at the same time etc. But then when there is a bug they will rely on others to fix it or enhance it because the environment becomes more intimidating and there are less examples on how to do things. That’s just my take.